Watson’s Mill was built on the Rideau River at Manotick. Escape the super highways and travel the back roads along popular waterways and you will find significant, but often overlooked connections to Canada’s industrial past. Your reward may be a simple limestone wall or the rough outline of a foundation. Or it could be a working mill that is still operating the way it did 100 or more years ago—grinding grain, carding wool or sawing wood. It is important though, not to be fooled by the apparent quaintness of these living museums, because what seems old-fashioned today was cutting-edge, high technology a century ago. That’s not all: these historical structures were dangerous places to work for the inexperienced and inattentive. Personal mutilation was a constant danger by the roaring belts and spinning shafts; hor­rible death an ever-present option. 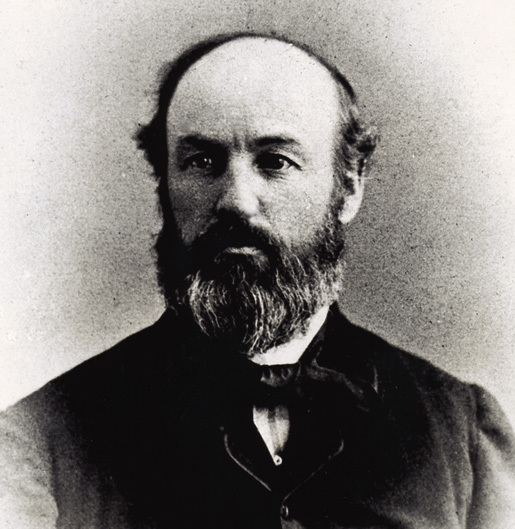 Co-owner Joseph Currier sold the mill after his wife’s death. Typically, mills were located within a day’s wagon ride for farmers, making it possible for them to haul their wheat, wood and wool in for processing without having to travel too far. Of course, the farmers would need some place to eat and sleep when they arrived, and so taverns and inns sprang up along with blacksmiths, stables, feed stores and the all-important mill store. Established by the miller, the latter extended credit to the farmers, allowing them to pay it off with a share of their crop or of the money it generated for the miller. Not surprisingly, all this commerce attracted settlers. In Canada, mills were the foundation on which thriving communities were built. 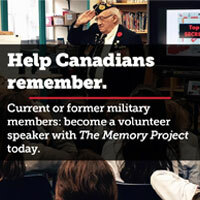 All told, mills played a pivotal role in Canada’s social and economic development. This is why a working mill can be such an enlightening way to visit the past, especially when you can see all the monstrous spinning parts that make their magic happen. Actual working mills are few and far-between in Canada, but not so rare that you cannot find them. We can’t tell you about them all, but we can give you some examples. For starters, Nova Scotia is home to the Bangor Sawmill in Bangor, the McDonald Brothers’ Sawmill in Sherbrooke and the Carding Mill in Iona, Cape Breton. Ontario has working grist, saw and carding mills at Upper Canada Village; the Lang Grist Mill and the Hope Mill (wool carding) near Peterborough; and Watson’s Mill in Manotick, south of Ottawa. British Columbia has one working pioneer grist mill at Keremeos, plus the fully functional McLean’s Mill at Port Alberni on Vancouver Island. 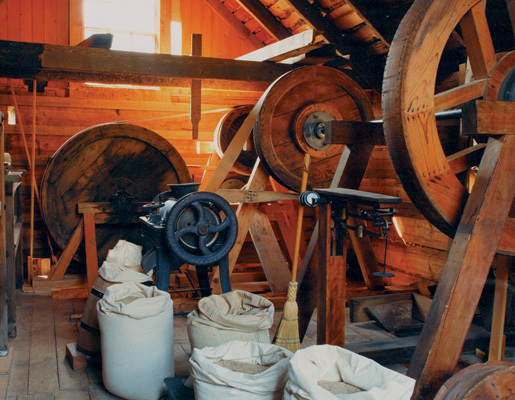 The Lang Grist Mill operates in the Lang Pioneer Village near Peterborough, Ont. 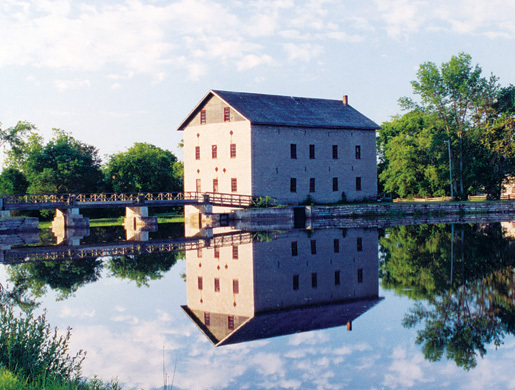 Built on the Rideau River south of Ottawa, Watson’s Mill is a monument to the power of 19th century milling. Walk up to this beautifully maintained building—suitably located on Manotick’s Mill Street—and you’ll find an elegant limestone monolith three stories high. Walk inside, and the ceilings are high; the thick stone walls cut open by large, multi-pane windows. If you have any doubt that this mill was built to impress, take a close look at the main floor’s dark wooden support columns. They’ve been topped with scrolled Ionic capitals, as if the mill was a Greek temple rather than an Upper Canada industrial site. British Columbia has a working grist mill in Keremeos. All of the power for the mill—not just the millstones, but the belts that drive the machine, plus the enclosed vertical belts equipped with scoops (elevators) that take the grain from the basement to the attic and down again—comes from the turbines. In the past, they also provided power for a sawmill, a carding mill, and a small bung mill (which made stoppers for barrels) that was on the other side of the river. As you walk up the stairs through Watson’s Mill, the inventiveness of the millers becomes increasingly apparent. For instance, on the horizontal driveshaft that connects to the vertical milling shaft—the one that turns the millstones—there is a small, thin metal ring. It sits loosely on the rod, able to move along as the driveshaft spins. “This ring is actually a form of self-maintenance. As the shaft rotates, the ring moves back and forth, from end to end. This cleans flour dust off the shaft. Add grease to the ring, and it will lubricate the shaft for you,” explains Trueman. The Bangor Sawmill built in 1850 still operates near Saulnierville, N.S. A horizontal wheel mounted next to the millstones allows the miller to adjust the amount of water flowing through the turbines without having to take his eyes off the stones. A second wheel is used to lower or raise the top millstone to achieve the perfect grind. Up in the attic of Watson’s Mill there is a large suspended rake hovering just above the floor. It is attached to a vertical rod which can be connected to the mill’s driveshaft, which in turn causes the rake to rotate slowly. The device is called a Hopper-Boy, and it is designed to help cool and dry the grain, which has been warmed up by the friction of milling and has released natural oils from being crushed. Invented by the famed milling engineer Oliver Evans, the Hopper-Boy was an automated device that replaced the need for humans to do the job. Unfortunately, it became obsolete when the reduction method of milling made this kind of drying unnecessary. This is the irony of Watson’s Mill. Although leading-edge when built, constant advances in milling technology forced constant upgrades in the milling equipment. But even that wasn’t enough. Once the Prairies started producing wheat in the early 20th century, the mill’s career in flour milling was doomed. Unable to match the price of Prairie wheat, local farmers switched to cattle or feed crops, forcing the mill to switch to seed separation and grinding for animal feed. Working in any mill, of course, was dangerous business. A split second of inattentiveness could easily lead to serious injury or death. The story of the ghost of Watson’s Mill can be traced back to a horrific accident involving 20-year-old Ann Crosby Currier, wife of Joseph. The mill’s co-founder had met Ann at her family’s hotel in Lake George, N.Y., in 1860. Currier stayed on at the hotel, and by Jan. 25, 1861, he and Ann were married. A month later, they arrived in Manotick where the Long Island Flouring Mills was about to celebrate its first anniversary. During a party to mark the occasion, Joseph and Ann were in the mill, but on different floors. He was in the basement while she was on the second level close to a spinning driveshaft. Without warning, Ann’s white crinoline dress was snagged by the shaft, which sucked the fabric in like a line being drawn onto a fishing reel. In no time at all, Ann was swept off her feet and slammed into a support pillar. She died instantly. Joseph Currier was so devastated that he sold his share in the mill to Dickinson, and never stepped foot inside again. It wasn’t long before stories of a ghostly figure resembling Ann began to circulate. According to some, the apparition of Ann is seen standing at the second floor window in her long white dress and golden blonde hair. The Steinbach Windmill in the Mennonite Heritage Village in Manitoba is a replica of the original built in 1877. In Quebec, the Isle-aux-Coudres (an island in the St. Lawrence River) is home to a working waterwheel mill and a real windmill, each of which produce flour. Both were built in the first half of the 19th century and continued operation well into the 1900s, only to fall into disuse and disrepair. 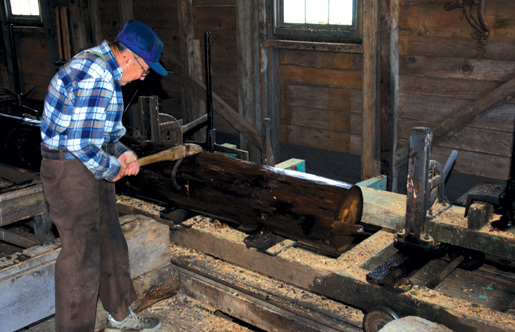 The mills were restored in the 1980s and now play host to thousands of visitors each year. 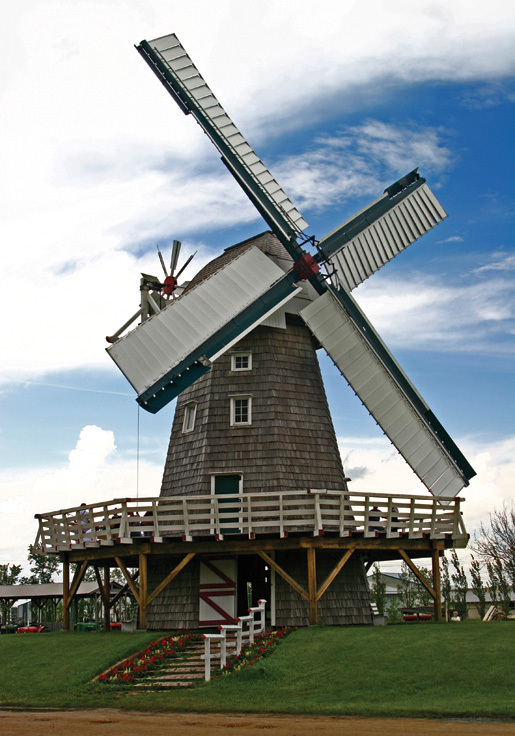 The Steinbach Windmill in the Mennonite Heritage Village in Manitoba is a replica of a 1972 model destroyed by arson. The first was based on the original Steinbach windmill built in 1877 and demolished in 1920. The current version is a working mill and worthy of a visit. “The Hope Mill story speaks to the entrepreneurial abilities of the early settlers who brought with them the skills and finances necessary to build and operate a business under very difficult conditions,” adds Campbell.